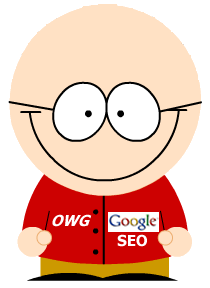 Google have just announced on their blog that they are waging war on content farms in a big way. Spun content has been the throrn in the side of the famed Google algorithm for some time, and it seems that when all said and done, when the techno dust settles, Google have decided the best person to work out what YOU want to see and don’t want to see in your search results is YOU. This is going to struggle to work. The problem is that some people will be looking for commercial results and others looking for information. For instance; if I was an 18 year old who owned a VW Golf and searched google for VW Golf. The results of vw.co.uk come up along with Laidlaw Golf in Skegness, my local VW Golf supplier. Also there is a site on how to repair my VW Golf and another on wiper blades for my golf on the Halfords site. I’m not interested in VW’s main site or Laidlaw so I block these, as I’m an 18 year old in his first job and just bought a 12 year old Golf. I am however interested in the repair site and Halfords. The VW site is relevant and so it the Laidlaw one, however not for me. The only people who are really going to use this (well at least initially) are competitors looking to downgrade their opponents. Hi S, nice to hear from you again. But it is personal and that is the point. Although I can’t help thinking that if enough positive response comes Google will bring it into their main algorithm, or at the very least use it as a quality control flag. Off now to build a bot that will run hundreds of instances of Chrome on my VPS via proxy and blast negative vibes at my competitiors and client competitors (joke but this is off the top of my head how to screw it over). I didn’t say that they had used it did I? In an interview discussing the implimentation of the Panda/farmer update, Matt clearly states that they compared the chrome data with their algorithmic change, and it matched at between 80% & 90%.